Hello there, and welcome back to all you slimy, double-crossing no-good swindlers. It is that time again when I pluck some random Star Wars subjects from this incoherent, slightly bizarre, brain of mine and attempt to make it legible. This week I would like to take the time to defend a group that gets a lot of slack around this here internet. Are they perfect? Of course, they're not but, they are not half as bad as people perceive them to be. I am, naturally, referring to the symbol of the Galactic Empire. The legions of men and women from the army which enforces Emporer Palpatine's rule across the Galaxy. The Imperial Stormtroopers. 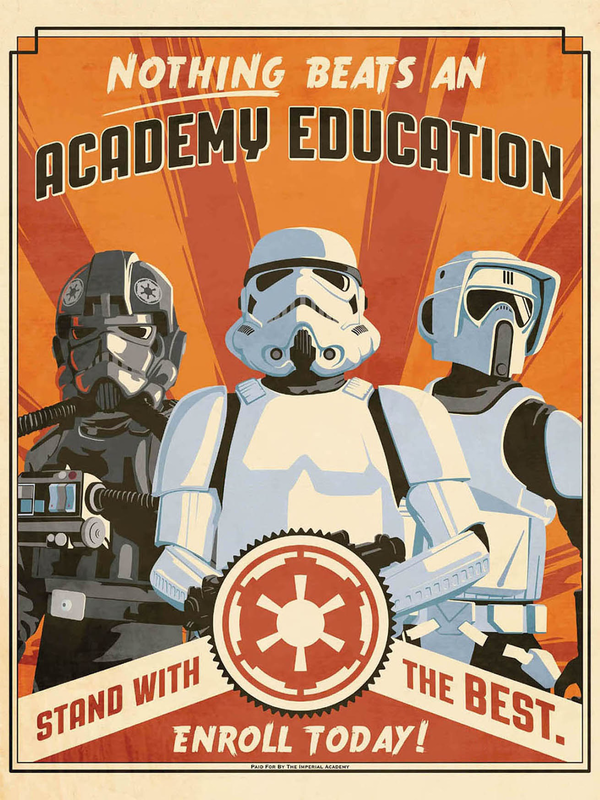 They get a bit of a hard time for being completely useless and couldn't hit the Death Star from 100 feet away with their blasters but, were they really that bad? Here are five arguments which hopefully will defend the Bucketheads men and woman of the Imperial Stormtrooper corp.
Let's open with an obvious defense for those white-clad Imperials. One of the greatest Jedi to ever serve the order certainly thought of them as capable soldiers. Attempting to find the Jawas who sold the dynamic duo of R2D2 and C3PO to Luke and Owen Lars, the young Skywalker and the former Jedi Master find the Jawas had been slaughtered. Luke immediately assumes this was the work of the fearsome Tusken Raiders. However,Obi-Wan is not convinced this is the work of the Sand People and this massacre is actually the result of the Stormtroopers. "And these blast points, too accurate for sand people. Only Imperial Stormtroopers are so precise"
Obi-Wan Kenobi once served with perhaps the greatest army the Galaxy had ever seen, the clone troopers of the Grand Army of the Republic. The fact that Old Ben offers this endorsement of the Stormtrooper's accuracy with a rifle is proof enough of their battle capability. 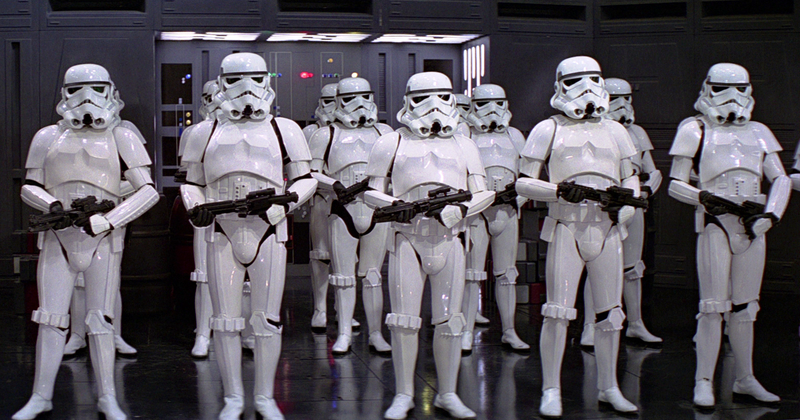 Also, with their white armor, the Stormtroopers are not exactly blending into the Tatooine landscape. The Jawas would have had to see them coming toward them and tried to flee? They are not the biggest of creatures either, the Jawas and, the group of Stormtroopers managed to slaughter these small traders amidst the chaos of them attempting to escape. Their accuracy is indeed precise. Foreshadowing Obi-Wan's praise was the assault on the Tantive IV. This is visual proof of the Stormtrooper's battle capabilities as the squad managed to dispose of the soldiers of the Rebel Alliance with relative ease and minimal casualties. This is an ever more impressive raid as the old Bucketheads had to navigate a narrow entrance hatch whereas as the Alliance soldiers were pretty well covered in defensive positions along a much wider corridor. Rogue One has also highlighted the proficiency of the Stormtroopers with regards to this assault. The final scene in Gareth Edward's masterpiece treated us to one of the greatest scenes in the entire saga. Darth Vader cutting down Alliance troops as he methodically made his way forward. When the Imperial Star Destroyer Devastator captured the Tantive IV Vader could have easily repeated his actions here but, he left it to his highly capable Stormtroopers to handle and, handle this they did. Here Grand Admiral Sloane reminisces about how efficient the Stormtroopers used to be. All of these elite troopers went up in flames when both Death Stars were destroyed by the Alliance or when Vader's Super Star Destroyer the Executor was destroyed. If you haven't read the Aftermath series, I will not go into spoilers here but Sloane's mission is to restore the Empire to its former glory, with herself as Emperor. 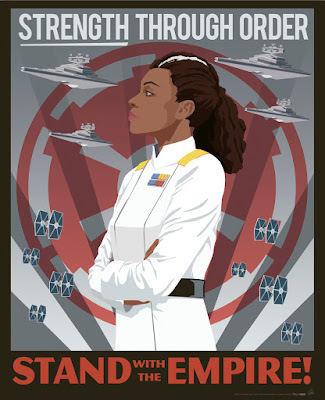 To accomplish this plan, Sloane will need an army capable of retaking vital Imperial systems and squashing the newly formed New Republic. The fact that the Grand Admiral thinks these under-trained Stormtroopers will do for now just shows how impressive the elite Stormtroopers were. A bit of left field thinking, I know, but if Sloane feels capable of achieving this dream with troopers nowhere near ready for battle, this speaks volumes of just how well trained the "original" Stormtroopers were. The first bit of evidence anyone points to while trying to argue how bad a shot the Stormtroopers were. How many times they could have stopped our heroes in their tracks but missed? The reason they kept missing? They were told too. I believe that the Stormtroopers were ordered to miss Luke, Han, Leia and Chewie while they made their escape from the original Death Star. Governor Tarkin himself remarks to Vader he had taken a big risk letting the group escape. The reason? To track the Millenium Falcon to the hidden Rebel base. This same order was issued to the Stormtroopers while on Bespin, Vader was determined to capture Luke alive and deliver him to Palpatine. In both scenarios the Stormtroopers were more than capable of hitting Luke and co but, they were simply told not to. The best example of the Imperials not managing to cope with a surprise is the Battle of Endor. 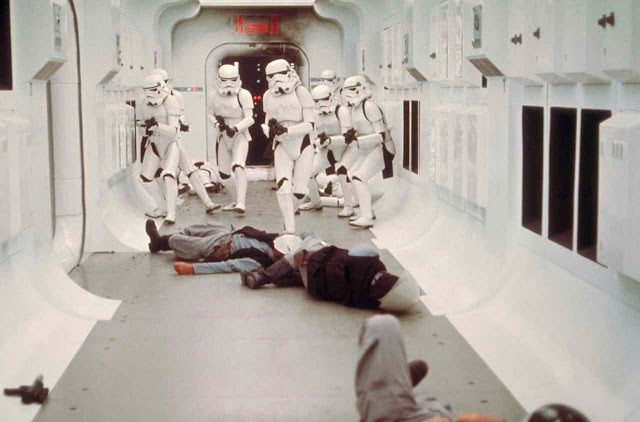 Were the Stormtroopers ever taught how to suppress an enemy comprised of 3ft bears? Probably not. Another example is from Rogue One where Chirrut Îmwe manages to easily defeat half a dozen or so troopers. They were probably never trained to deal with someone with the hand to hand combat skill of the Chirrut. Basically, the battles the troopers lost were down to the stubbornness of the Imperial Bureaucracy and in turn, facing an enemy that could adapt to different situations and use chaos to their advantage. Peace is a lie and, May the Force be with you. Yes, there's more. The Empire's subjugation of a great part of the galaxy wouldn't have happened with slouches for elite soldiers. Good examples ere what Thane Kyrell witnessed with the Bodacci and the family that was arrested. What happened to Tarkintown on Lothal or how the many thousands for people ended up in Imperial Labor Camps. Jedha, Kashyyyk, Sullust and on and on. Great article on a Great topic, Dominic !! !